Laida is a mare with a lot of potential and blood. She is very active and responds quickly to the aids. 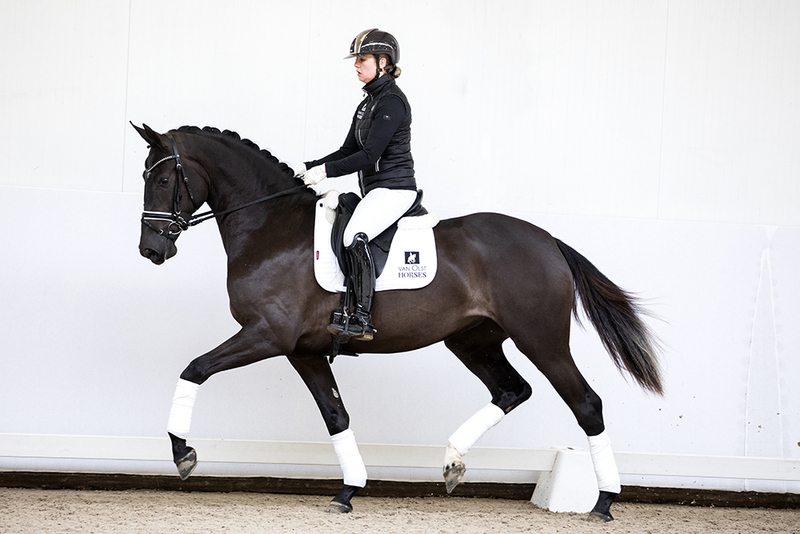 Laida already collects well and is the perfect horse for the rider seeking a new asset for the more difficult work. She is a nicely modelled mare with outstanding movement, good rideability and a willing temperament. Laida is a “ster” mare and perfect for either sport or for breeding. 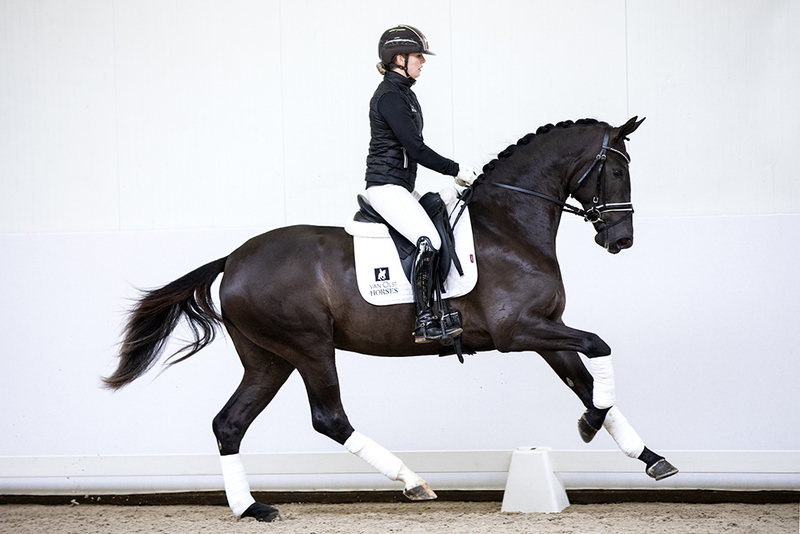 Dam sire Ferro is legendary and competed at Grand Prix-level at Olympics, World-Cups and Europeans with Coby van Baalen (NED). He showed a very classic way of doing piaffe and passage. Grand dam sire G Ramiro Z produced countless top-sport and breeding horses.